Not sold outside of Finland, cannot be shipped internationally. 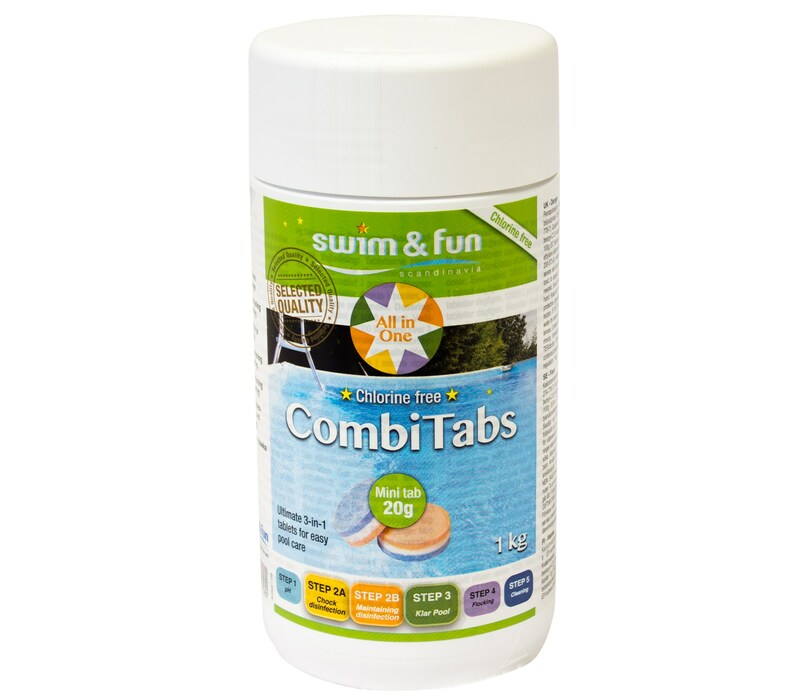 Combbitabs 20gr, chlorine free. 3-in-1 tablets. The ultimate tablet for chlorine free water. This unique tablet works in three stages that disinfects and clears up water. White stage: Fast acting disinfection using active oxygen. Blue stage: Improves and lengthens the disinfectant process and prevents dirt and buildup. Orange stage: Counteracts precipitation of lime and minerals in the water.